You are here: Home / DIY / DIY Mason Bee House to Help Save the Pollinators! 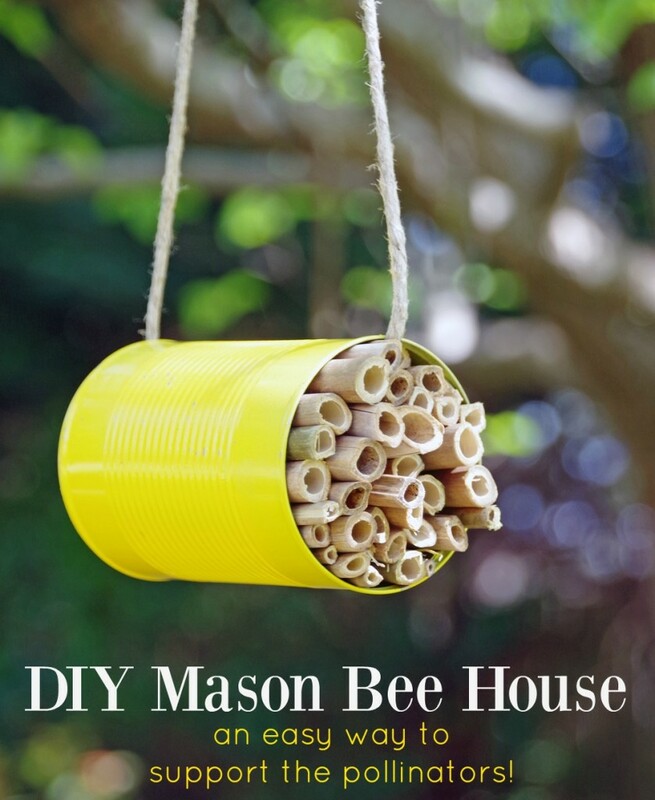 DIY Mason Bee House to Help Save the Pollinators! This DIY mason bee house is my attempt at attracting more pollinators to my yard and providing them a save place to feed and reproduce. I had never heard the term ‘mason bee’ before, but once I checked them out on Wikipedia I knew what they were. They are named from their habit of making compartments of mud in their nests, which are made in hollow reeds or holes in wood made by an assortment of bugs. Basically, instead of hives, like traditional honey bees, mason bees lay their eggs in hollow twigs. 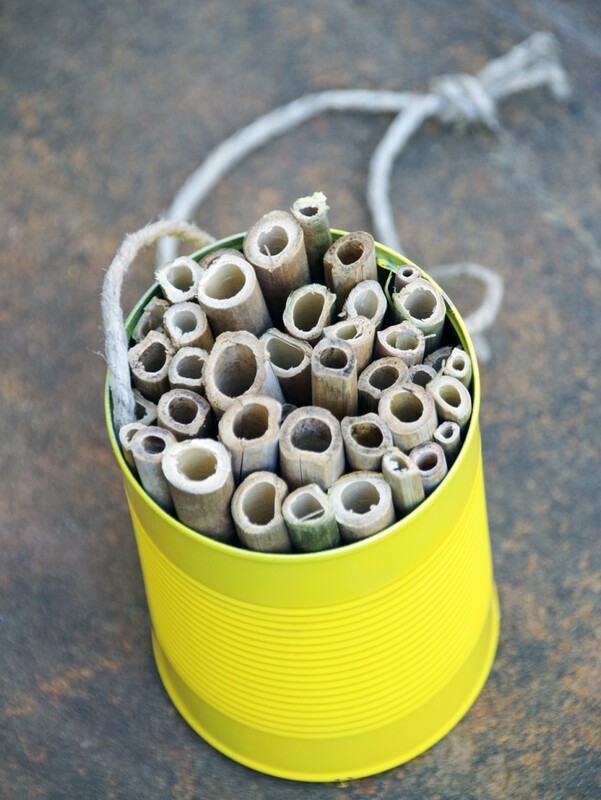 This diy mason bee house was incredibly simple to make with one upcycled tin can and a ton of bamboo we had tossed into the weed pile. If you are concerned about bringing bees to your yard, check out my post on how to avoid bee stings to protect yourself. If you don’t have bamboo or any hollow reeds (some dried flower stalks work! ), you can use rolled up paper. Just sit your kids down with a pile of scrap paper and roll it up to form ‘straw like’ structures. Tuck those inside the can. Once your diy mason bee house is done, hang it in your garden or wherever you want your pollinators to hang out. I poked a hole in this bee house with a nail so I could string some twine through it and hang it on the fence post. 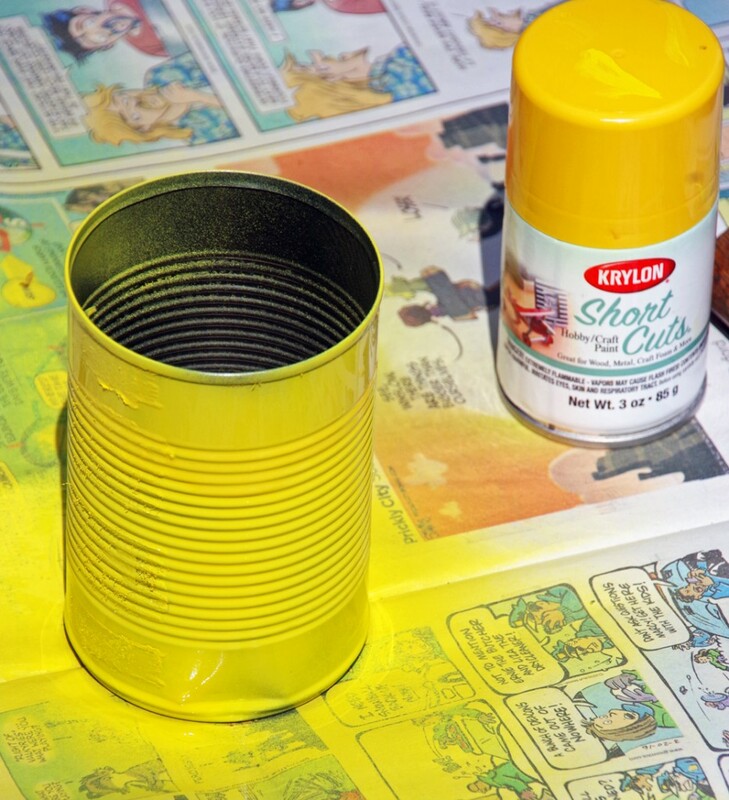 You don’t even have to paint the can like I did but I thought it looked pretty and maybe the bright color would attract more mason bees. Please remember that pollinators are very sensitive to chemical pesticides. Protect their health by using only natural garden products. Check out my post on cheap and organic gardening solutions for more info. What is a Mason Bee? Mason bees are a type of native bee that’s common throughout most of the U.S. They are usually a little smaller than a honeybee, and typically metallic blue or blue-black in color. 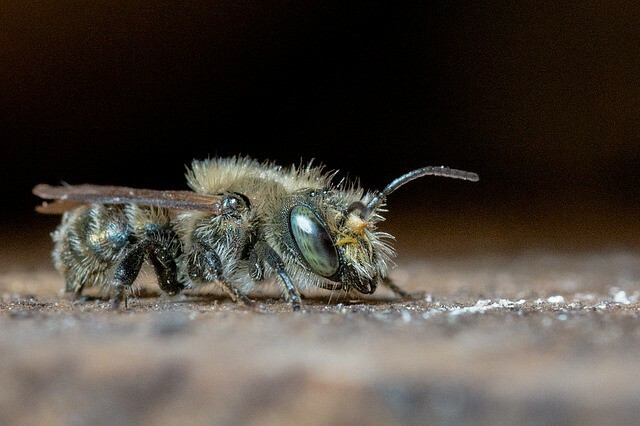 All Mason Bees are solitary, so each female is a queen who also does all of the chores. In North America, there are about 140 different mason bee species — with about 200 species worldwide! They are great little pollinators and like a very particular type of cavity for nesting. 1 empty tin can, label removed and washed. Hang your mason bee house wherever you want your bees to hang out. Want to attract even more pollinators to your garden? 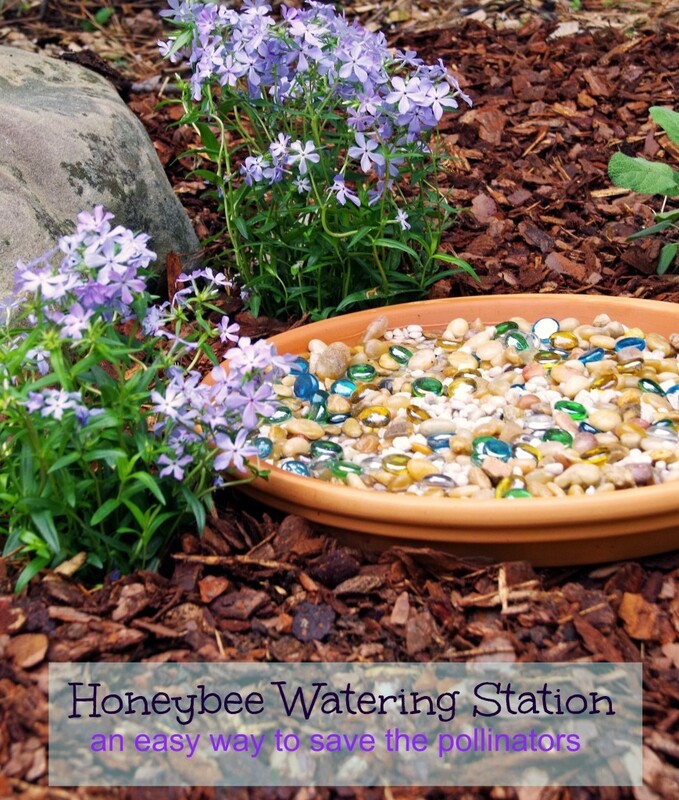 Make this honeybee watering station! This is a great idea! My kids love bees and would love to make this with me! I have read such awful reports about the decrease in number of bees. I love that there's something we can do to help motivate them to come to us. Okay, I've made hummingbird feeders, ant farms and bird houses but this ones new to me. I'll admit, I have a fear of bees, since I am allergic....but this would be cool out in the countryside. Thi is so cute and creative! I am definitely making some of these for my yard! Such a wonderful idea, as bees are dying off I heard. Although I don't like bees all in my face (mainly hornets and wasps) they are needed for our environment and so doing this DIY mason bee house would be useful to educate my kids about the importance of bees while having fun! Very cute! We did the same thing last year with the watering station and the Mason Bee House we received. hopefully our's fills with bees this year. I love this so much! It has been warming up here and I am in gardening mode- maybe a bit to early :) but planing what I am going to grow and wanting more bees to find us. Do you have a suggestion about if this should be in the shade or sun? Thanks! I think a partially sunny spot near some brightly colored flowers might be best! Mason bees and leaf cutter bees do not sting nor will they defend their nests. Don't worry about getting stung. It won't happen with these species. That's good to know! They really seem to like my mint when it blooms! This is a wonderful project to do with my daughter. We are preparing to put together our pollinator garden and this will be a wonderful addition. So glad you liked it and hope you have fun with your daughter! Hi there! I'd like to use the photos and craft description in a manual I am creating for my summer day camp! Please let me know ASAP if this is okay! :) If you email me, I can send you more information about the day camp and our program. sent you an email. would love to chat about this. A little 'heads up." If you haven't already, please do some research as to placement and care of the houses and bees. There are some important considerations to keeping the bees healthy and safe. I definitely recommend doing research on safe pollinator practices in your yard. I have several articles on this site about protecting pollinators from pesticides and even the safe use of organic compounds. thanks so much for your tips! I wonder if these Mason Bees are the same as the bees we call “Wood Bees,” who drill holes in our carport rafters, laying eggs (larvae) in the holes? We treat the ones we have as pests, because they are destroying our carport. If these Polllinator attractors you show will distract our “pests,” then it will be a boon! Those are most likely carpenter bees and yes, they can really destroy the wood on a house! Awesome tutorial! Will this house bring any other kind of Bees? Also, how thick were the bamboo sticks diameter wise? It looks to be around 1 cm. Mason bees are very unique in their nesting so I think they are the only ones it would attract. I didn't measure any of them but that sounds about right. Put one up last year...really kool how they make the cocoon . I check it out every day to see if I have any new tenants in my bed hotel. It’s nothing like a nest where bees swarm around. In fact I seldom see bees, justthe closed openings they make. It is an incredibly unique looking little nest! 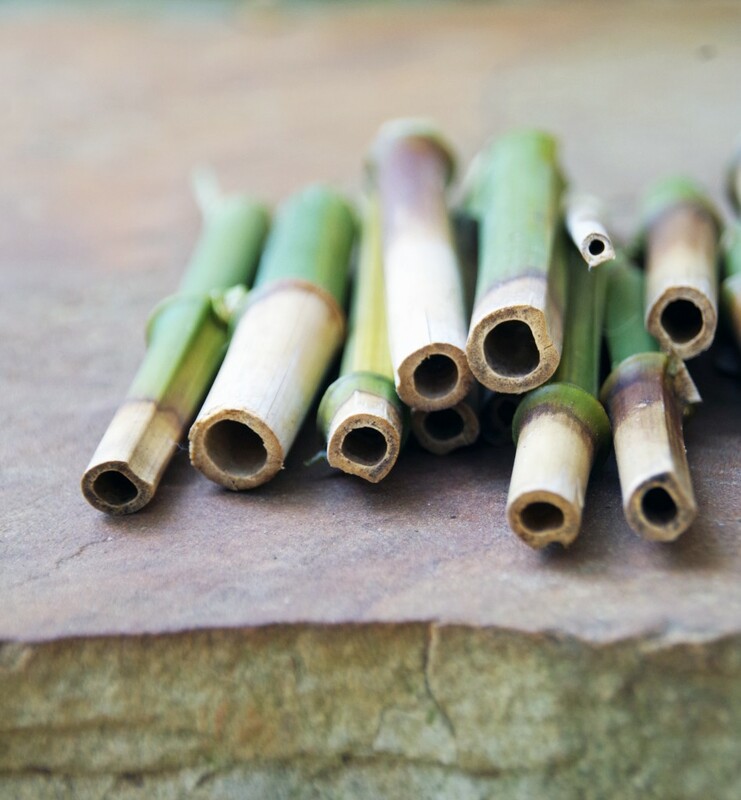 Mason houses with bamboo reeds, are what many experts say will make your house a bee cemetery. You need to use cardboard tubes or paper straws, never plastic. Also the houses need to face the east, so that the bees start to wake up with the warmth of the morning sun. Although the cans look cute, they need to be more than 6 inches deep, with a little overhang to keep the bees from getting wet when it is raining. I plan to put out a few houses this year and hope to increase the pollination for my vegetable and fruit trees. Interesting. 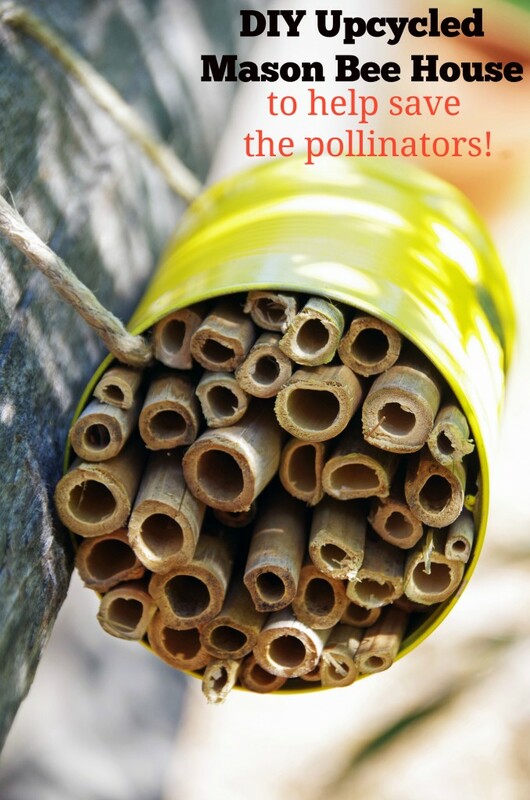 I have seen numerous reputable garden and bee sites recommend bamboo tubes but will do more research to learn more. 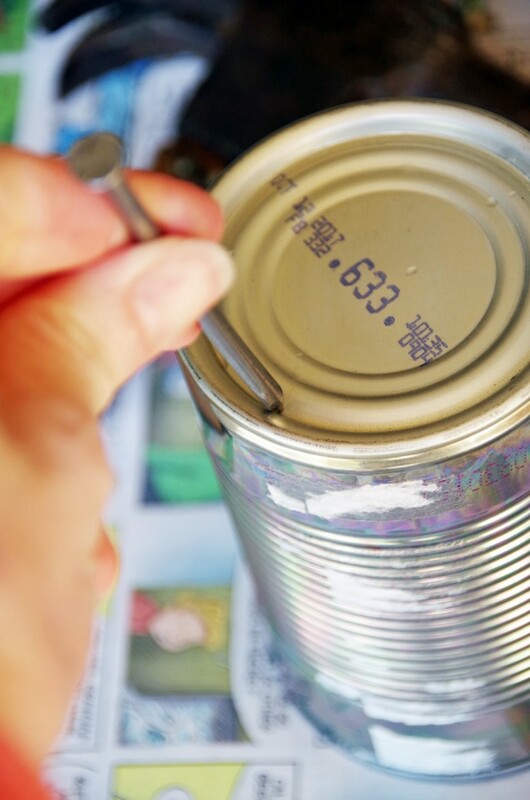 Can the tubes simply be tied together with twine instead of using a can? If you're not using paper products for the tubes (I plan on using Japanese knotweed reeds) is it necessary to keep the tubes sheltered from the rain? Can plastic bottles be substituted for the aluminum? Water bottles are longer and would cover the tubes better but not sure if the plastic would be good for the bees. Several people have mentioned that keeping the reeds dry is important but not sure if the container itself makes a difference. Sorry! Might have to try and see if they come! What Judy H. said: reeds should be 6" or else eggs will all be good-for-nothing males.